I am an electric technician, age 62+. Married since 40+ years, having three grown-up children. I have been licensed since 1971, first in basic class, then from 1972 in general class. I work mostly CW on HF-bands, preferably DX, and FM on the local repeater. Since my graduation I have had quite a lot of different jobs. For five years we lived in Västerås, Sweden (callsign SM5KNT). At that time I was employed at ASEA (now ABB). When we moved back to Finland, I started my own company, and got employed at Jakobstad Energy Utility, where I stayed for 19 years. 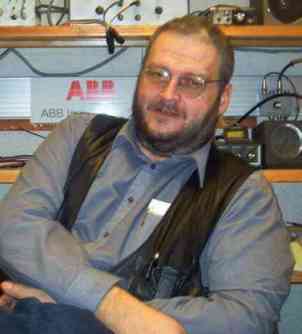 After that I was employed at the Academy of Åbo Computing Centre until spring 2016, when I retired. As you probably have noticed on the lef menu, I am interested in many different hobbies, all related to some kind of technology. Klick the buttons, and you will find out. Hope you enjoy your visit on my site. It is updated when I feel for it and have something new to tell. Have a good day, vy 73. 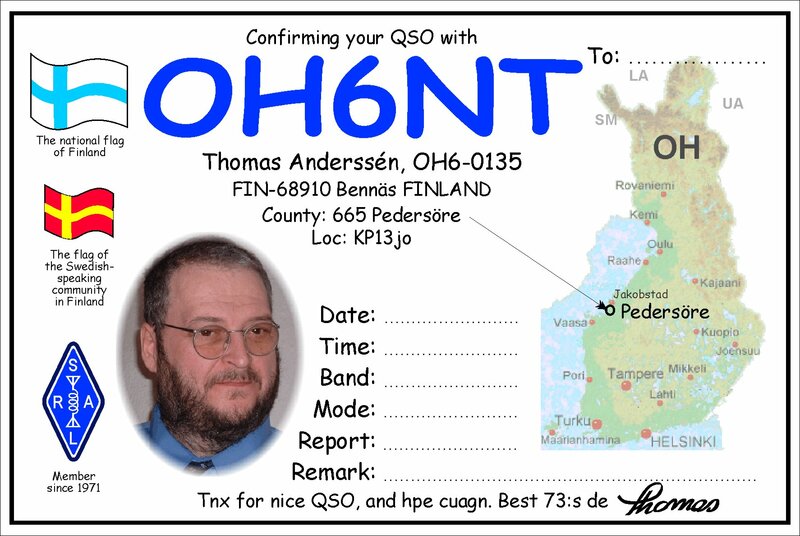 Since 2016 I also got back my father Lasse's (SK) old callsign OH6NZ. In march 2017 I got back my Swedish callsign SM5KNT as well.